Just a quick reminder that all of our RECON teams outside of Arizona will be going off Daylight Savings this Sunday morning, November 6, at 2AM local time. In addition to giving participants an extra hour of sleep, turning clocks back will place the majority of our teams 8 hours behind Universal Time (UT) from now through March. All RECON Teams are reminded to complete the RECON Campaign Signup Form as soon as possible so that we can ensure telescope coverage for this Thanksgiving campaign! It’s been four months since our last campaign, but RECON is prepped and ready for our first full network campaign of the 2016-17 school year! Tonight’s event involves Centaur 12UT68. Formed out beyond Neptune, this object was recently kicked inward to the solar neighborhood near Saturn and Neptune. Estimates place its size at 30-75 km, but RECON is trying to determine this with far greater precision. Although the predicted shadow path is slightly off the network, the 1-sigma uncertainty in this prediction is 600 km. This means there is a good chance the shadow may pass over communities to the south, and all of our scopes are well positioned to probe the region around 12UT68. As with all ground-based astronomy, weather and sky conditions are always an important factor. As of this morning, the weather is not looking great for many of our teams in the Northwest and spotty for several Northern California and Nevada teams. 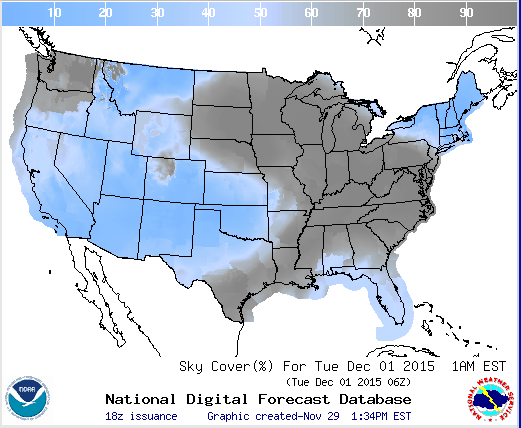 The sky cover prediction map below was produced using tools available at www.cleardarksky.com. For our teams with partly cloudy skies, they will be aligning their telescopes and finding the star field using patches of clear sky. Then it will be a matter of waiting it out to see if the target region of northeastern sky stays clear during the 20-minute observing window just after 11:10PM PDT/MST tonight. And hopefully the prediction for better weather will hold for our teams in southern California and along the Colorado River closest to the shadow centerline prediction! For more details on this event, visit our Event Page for 12UT68. Good luck to all of our teams able to observe tonight despite less than ideal weather! 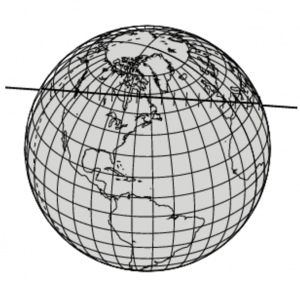 Also, stay tuned for our next event on the morning of Wednesday, November 23, with a predicted shadow passing directly through the center of the RECON network!!! With an estimated size of 50-125 km, Scattered Disc Object 08JO41 is exactly the type of trans-Neptunian Object that the RECON Network was designed to measure. Based upon astrometry collected this past week, the predicted centerline for this event is over southern Oregon with a 1-sigma cross-track uncertainty of 1511 km. Based upon our uncertainty calculations, there is a 30% chance that the shadow will pass over a portion of the network. And as with all full campaigns, all telescope sites from Yuma to Oroville provide important data to probe the regions around 08JO41 for moons and rings. Thanks to all RECON teams for gearing up for this full campaign event. With a diameter of around 1110 km, Classical Kuiper Belt Object Quaoar is roughly half the size of Pluto and has a small moon named Weywot. 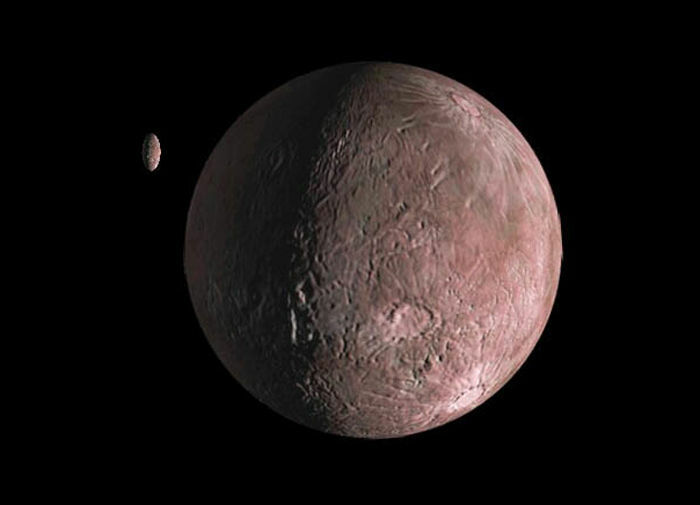 An artist’s conception of Quaoar and its small moon Weywot. There are two upcoming close approaches that could bring the shadow path of this large KBO over the RECON network. The first is on June 26 UT and the next is on July 23 UT. 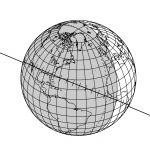 If the object does pass over the network, multiple telescope sites would record this occultation. Marc and several other observers are conducting on-going observations to pin down the probabilities of success for RECON on these two dates (which are currently at 3.2% and 1.4%, respectively). However, there is something peculiar about how this recent data is matching up with previously collected orbital data. Given this, we are announcing these events as optional campaigns for the network and encouraging all RECON teams that are available to participate. We will provide weekly updates leading up to these events, so stay tuned. Thanks to all the moms who are directly and indirectly supporting our collaborative exploration of the Outer Solar System through the RECON Project!!! After a four month hiatus, the RECON network is swinging back in action this Sunday night/Monday morning with a doubleheader campaign. The first target of the night will be Classical Kuiper Belt Object 99HR11, which is set to occult a magnitude 14 star between 12:50-1:38AM PDT/MST (7:50-8:38 UT). This Classical KBO has a mostly circular orbit and is over 6 billion km (41 AU) from Earth. The object estimated to be between somewhere between 90-220 km in diameter, but RECON hopes to measure this more precisely. Just under 45 minutes after this first event, our RECON teams will be moving all of their scopes to the east to acquire the star field for Centaur 02GZ32, which will be occulting a magnitude 13 star between 2:22-2:37AM PDT/MST (9:22-9:37 UT). Follow-up predictions indicate that this target will be passing over the southern portion of the RECON network. 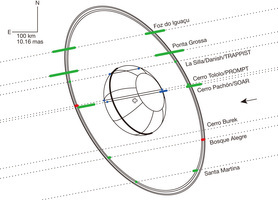 The network is very well positioned to discover whether this Centaur has a ring system. Rings were discovered around a similar-sized Centaur named Chariklo during an occultation campaign back in 2013. Does 02GZ32 also have rings? Does it have any moons? RECON is well positioned to find out! Even though the central object is predicted to be to the south, the entire network is essential for searching for other material in the vicinity. Be sure to check the Camera Settings Guide to make sure that you are have the display set to 640×480. For those sites that get a “green screen” after changing this setting, you will have to press the “P” key to view the camera field in Preview Mode – now and for the remainder of the RECON project! Confirm that your IOTA-VTI is set to FULL SCREEN – now and for the remainder of the RECON Project! In the days following the event, teams should upload their videos and logsheet information using the RECON cwrsync tool. 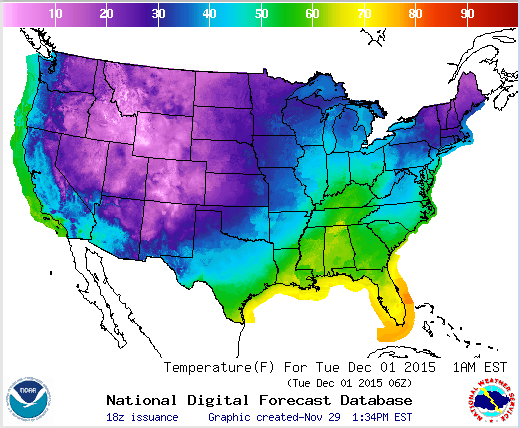 See Reporting Observations for details. Sky conditions are looking good for most RECON sites except for a handful north of Reno. Check out RECON Sky Conditions for more details. Good luck to all. And again, Happy Mother’s Day! 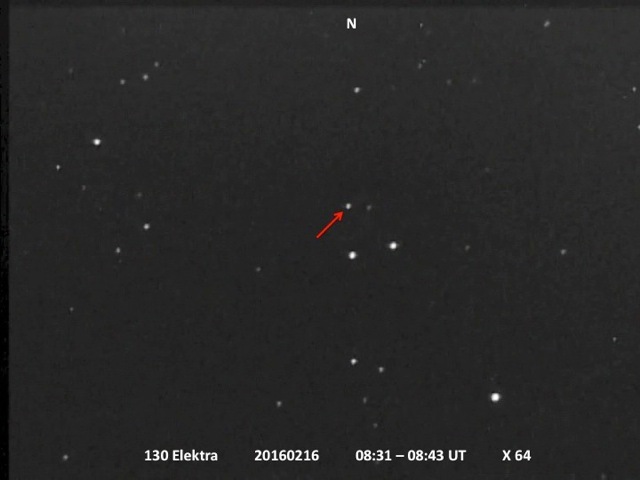 The last positive occultation captured in North America in 2015 was the occultation of the star 2UCAC 39956822 by the asteroid (96) Aegle. Overall, there were 8 observers who observed the event. There were 7 positive observations and one miss observation. Three of the positives were recorded by RECON team members, Chris Patrick, Steve Bock, and Tony George. This blog will document the data contributed by the RECON members. Here is the path map for the event. 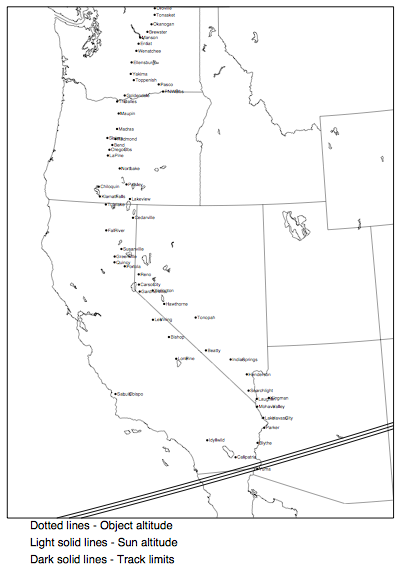 You can see the path crosses through central Arizona and southern Nevada, where three RECON members are located. 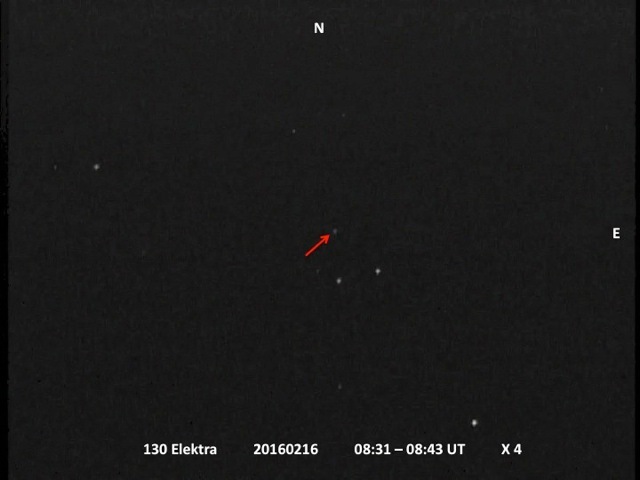 Other observers in Arizona and central California were also able to observe the event. These three light curves have some interesting characteristics that should be noted. The Chris Patrick light curve is very erratic and during the event, a very flat and uniform bottom. These are characteristics of the camera settings, which did not match the standard RECON guidelines. Whenever observing asteroidal occultations, RECON guidelines should be used for camera settings unless otherwise directed by the campaign organizer. The Steve Bock light curve looks very ‘skimpy’. Again, this is the result of camera settings, most significantly, the degree of sense-up that was set. Steve used a sense-up of 64x. This integrates 32 frames which means that each block of 32 video frames looks essentially the same. Integration also cuts down on the amount of variation between individual frames and blocks of integrated frames. A sense-up of 64x is a common RECON guideline for TNO occultation observations, however it may be too much integration for use in brighter asteroid occultations. When compared to Tony George’s light curve, you can see the degree to which a high sense-up can affect the look of the light curve. Tony used a sense-up of 2x. This integrates two video fields into one frame, so there are 30 frames per second that are all independent of adjacent frames. While Tony’s light curve might not look good, it actually is the best of the three light curves for determining the correct D (disappearance) and R (reappearance) times from the video. That is because integration (sense-up) averages the video data and the D or R might occur somewhere within the integration block and the actual time must be estimated from the brightness value of the block of frames. With Tony’s video, the times can be derived to times less than 1-frame accuracy. Once each video file was analyzed in Limovie, a data file is created in a comma separated variable format (csv). That csv file can be analyzed by different software applications to search for hard-to-find occultations, however this occultation was easy to see. The software programs can also be used on easy-to-see occultations, particularly those with video integration, so that more accurate estimates of the D and R times can be derived. 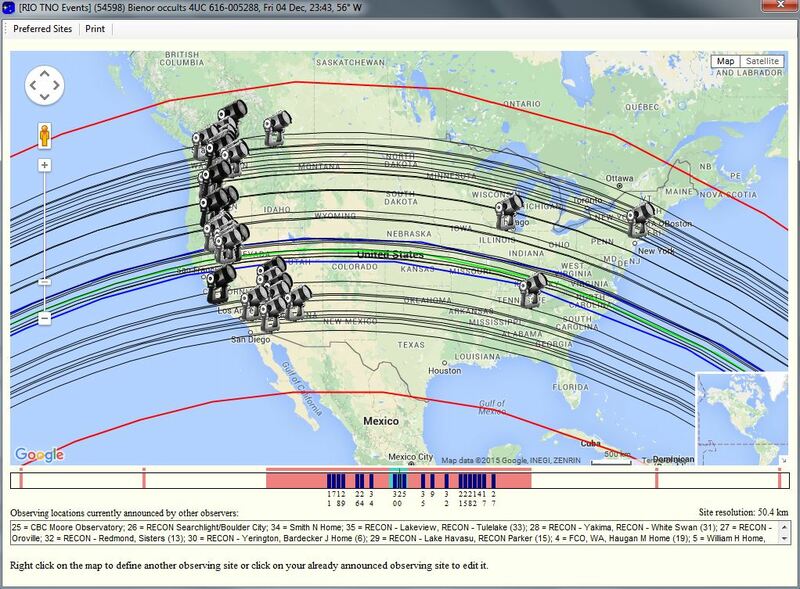 Tony George used the program R-OTE (R-code Occultation Timing Extractor) to analyze all three light curves. The D and R times were determined and provided to the observers so they could send in their reports on a standard Excel spreadsheet provided by IOTA. For those that have OccultWatcher on their computers, the Excel form is easily available through a reporting app in OccultWatcher. The chords of observations by the various observers are shown in different colors. The chords of the three RECON observers are Chord 1: Chris Patrick; Chord 2: Steve Bock; and, Chord 5: Tony George. You can see from this plot the rough outline of the size and shape of the asteroid. Superimposed on the plot of the chords is the ellipse of best fit to the openings in the chords. The size of the asteroid as determined by this analysis is and ellipse with major axis of 169.6 km and minor axis of 163.0 km. This is one of the best observations ever obtained of the asteroid (96) Aegle. While this is only one snapshot of the asteroid on the date of the observation, future observations can determine the size and shape from other perspectives and hence the volume and density of the asteroid can also be determined from amateur astronomer observations. This type of data is very helpful to astronomers and space scientists as they continue to characterize the main belt asteroids and try and made decisions on asteroids to visit on future space flights. The determination of the size and shape of an asteroid by occultations requires a good spread of observers across the path. In the case of the (96) Aegle event, the two Chords collected by RECON members Chris Patrick and Steve Bock were critical in setting the northern limb of the asteroid. Without those two chords, the true size and shape of (96) Aegle could not be determined from the other chords. This shows that occultation astronomy is a team sport. It takes a variety of observations to get the size and shape of an asteroid. While not a focus of the RECON project, RECON members can participate in the observation of main belt asteroids to sharpen their skill in doing occultations. The probability of getting a positive with a main belt asteroid event is higher for those within the path, since the orbits of main belt asteroids are better known than TNO’s. In the future, Tony George will be sending out alerts for main belt asteroid occultations predicted to cross the observing sites of RECON members. Typically, for a large main belt asteroid, the path may go over 3 or 4 RECON observers in the network. 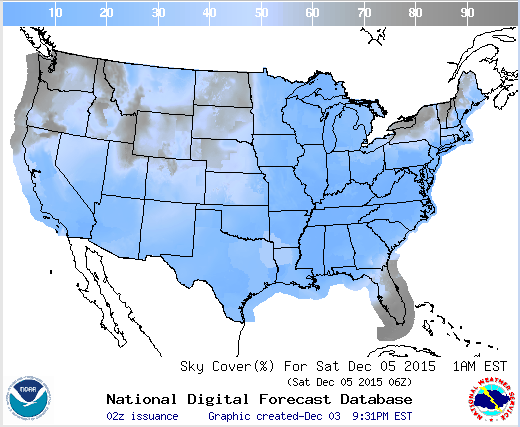 Watch for postings of favorable main belt asteroid events on the tnorecon email list. With luck, we will see your groups chord on a future profile plot. Just four days after our occultation campaign involving 13WV107, our RECON teams will be out again this Friday evening / Saturday morning to record another Centaur. This time around, we are using astrometry data provided by collaborators in Brazil from the RIO Group to measure an object known as Bienor. The event will be pushing the limits of the RECON network because the target star is magnitude 16, just at the detection threshold for many of our cameras. Our team members will be paying close attention to obtaining the sharpest focus possible using the following Focusing Tips. 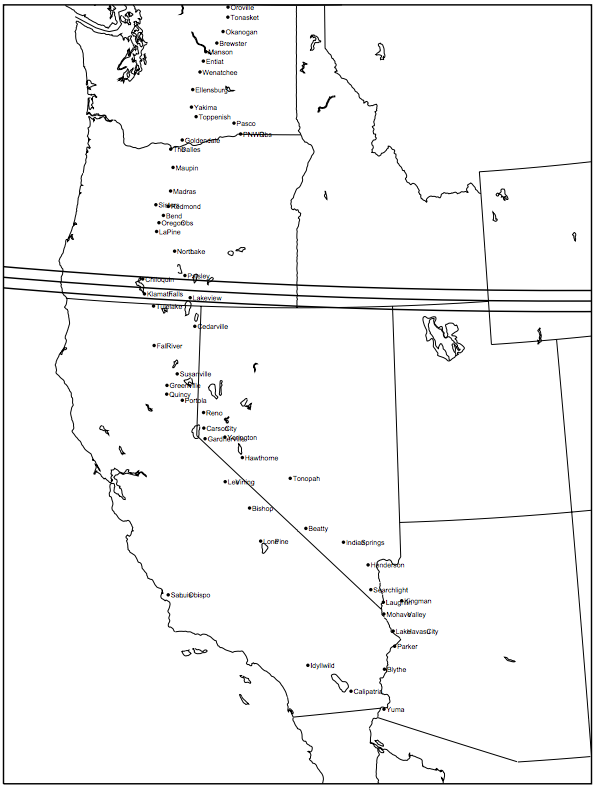 We just received an updated prediction map for this event from the RIO group, placing the shadow path over Northern California / Southern Oregon, although all telescope data is important, as always, for both capturing the main target and studying its neighborhood. During this event, we will also be joined by several other occultation astronomers from the North American International Occultation Timing Association (IOTA). The map below shows a portion of the telescope sites that will be participating in the event. 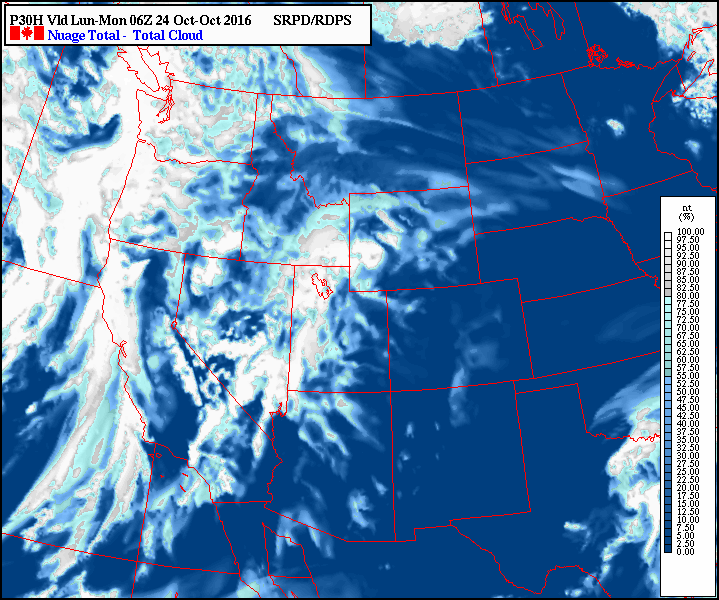 Unfortunately, sky conditions are not looking so good in Oregon and Washington due to a storm front moving in, but we will do our best regardless. Thanks again to all of our RECON teams and our RIO and IOTA collaborators. This Monday evening/Tuesday morning around midnight (1 December UT), over 50 intrepid RECON teams will brave the cold, but hopefully clear, winter skies to collect data during our upcoming occultation campaign involving 13WV107. What do we know about this object? What do we hope to find out? A brief overview is provided below to provide context for data summarized on the Event Detail Page for 13WV107. What we hope to discover through tomorrow night’s campaign is the actual size and surface brightness of 13WV107! The Centaur will be occulting a star north of Orion and will cast a shadow on Earth’s surface proportional to its size. This will affect the number of RECON telescope sites that will measure the shadow and the duration of how long the occultation occurs at each site. In addition, if 13WV107 has any rings or moons, these will also cast a shadow that could be discovered by RECON. We know the orbit for 2013 WV107. The object was discovered on November 21, 2013. (This information is encoded in the name of the object – check out the Minor Planet Center for details on how the code works!) The object is a Centaur, a minor planet with its average distance from the Sun (or semi-major axis) located in the region of the outer giant planets. In this case, the semi-major axis of 13WV107 is 14.75 Astronomical Units (AU), between the orbits of Saturn and Uranus. At this point in its orbit, 13WV107 is currently located 11.7 AU from the Sun and 10.7 AU from Earth. 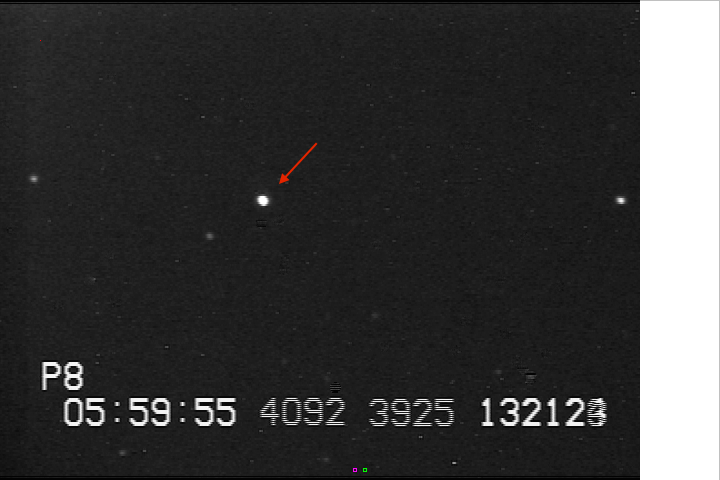 Additional details on the orbit of this object are available by entering “2013 WV107” into the search field of the JPL Small-Body Database Browser. We also know how bright it appears. In addition to its orbit, the other key piece of data we know about 13WV107 is that it has an absolute magnitude of 10.1. Absolute magnitude (H) is how bright the object appear if it was fully illuminated and located just 1AU from Earth (with Earth between the object and the Sun). Because 13WV107 is much further than 1AU, it appears even dimmer than this to us here on Earth. The apparent magnitude for this object is currently around 20.8 (note that the dimmer an object, the larger its magnitude). 13WV107 is far to dim to be seen directly with our RECON telescopes. 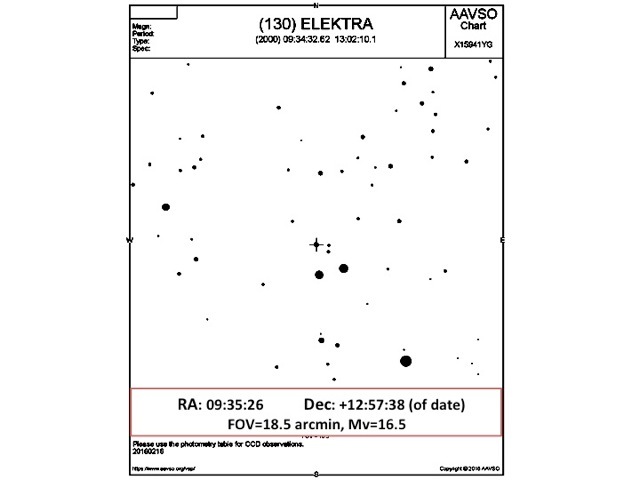 However, the target star that the object will be occulting has an apparent magnitude of 15.6, which is near the limiting brightness we can detect. Because the target star is dim, obtaining a sharply focused image will be extra important and we encourage our RECON teams to check out a newly created page with Tips on Focusing. What we don’t know are the dimensions and reflectivity of 13WV107. While we know the object’s orbit and absolute magnitude, we don’t know either its albedo (or how reflective its surface is) or actual size and dimensions. Consider two objects with the same absolute magnitude but different albedos. 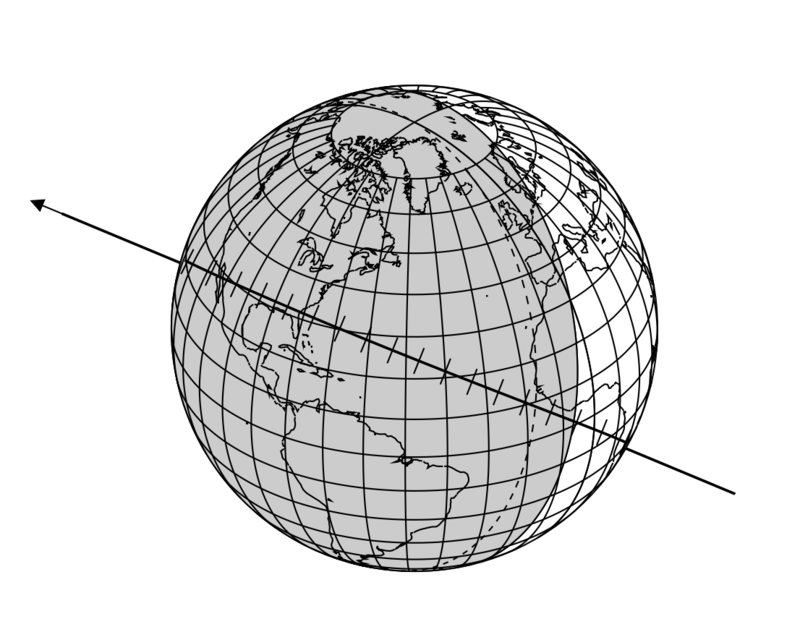 The darker, lower albedo object would have to be larger than the brighter, higher albedo object in order to appear the same brightness from 1AU. Given it’s brightness, we have calculated that 13WV107 has an albedo of only 5% (meaning that it absorbs 95% of incoming sunlight) if it has a diameter of 58 km. On the other hand, if it is actually smaller than this, then its surface has to be more reflective. 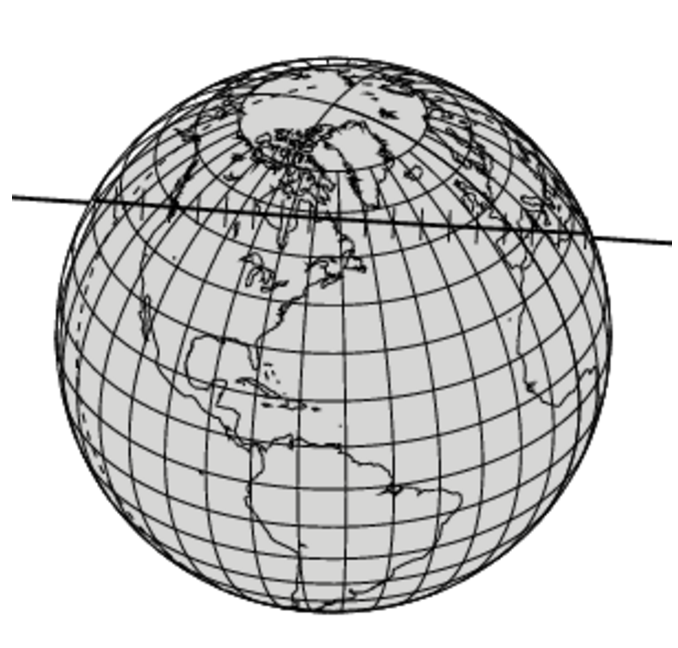 If 13WV107 is 24 km in diameter, this would require a 30% albedo. During the upcoming event, we hope to directly measure the actual dimensions of 13WV107, which will provide us with a better understanding of its albedo. Neither of these quantities is known definitely up to this point, which brings us to tomorrow night . . . 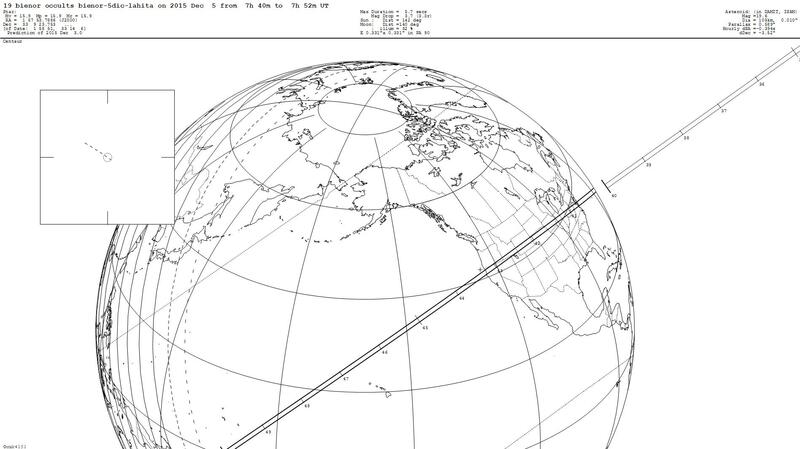 Predicted path for 2013 WV107. Note that 1-sigma cross-track uncertainty is 963 km. Where will the shadow pass over RECON? Our current prediction places the shadow path for 13WV107 over the southern part of the network. However, because the object has been monitored for only a fraction of its almost 60 year orbit around the Sun, there is uncertainty in knowing exactly where its shadow will land. In this case, there is a 68% chance (1-sigma uncertainty) that the shadow will pass somewhere within 963 km of the prediction shown here. Thus, RECON sites from Yuma Arizona all the way up to Susanville California are within this 1-sigma cross-track uncertainty range. There is a lower, but non-zero probability for sites north of this to measure the occultation as well, and more importantly these sites are in prime position to determine if there are any other objects (moons, rings, etc) in the neighborhood of 13WV107. The upcoming week will be busy but important for our RECON teams. In addition to tomorrow night’s event, we have a second campaign on Friday night/Saturday morning (December 5 UT). For a preview, check out our Event Page for Bienor. With these final events of the 2015 calendar year, RECON will have successfully conducted four campaigns since the network became operational back in May. This is on target with our proposed goal of attempting 6-8 campaigns per year. Thanks again to all of our RECON teams for your determination and perseverance in the coming nights.